Powell Wellness Center is the 2018 Certified Medical Fitness Facility of the Year! We’re honored to be recognized as an exceptional facility within the medically integrated fitness community. Our aquatic arena supports fun and therapy! Our pool, therapy pockets, walking oval and lap lanes provide refreshing space for aquatic therapy, swim lessons, family swim times and group fitness classes. Aqua volleyball, anyone? Swing by the Cafe and choose from snacks, sandwiches and beverages, including delicious natural whole foods smoothies! Give a Gift of Health this Holiday Season! Would you like to participate in a healthy activity that adds variety to your fitness routine, regardless of your age or fitness level? Join us for a swim! 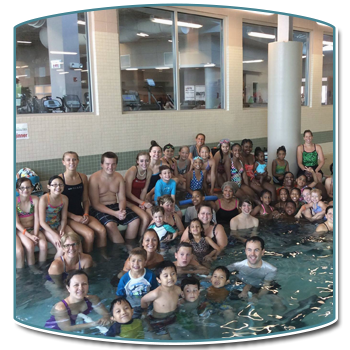 We offer group and private swim lessons based on the American Red Cross Learn to Swim program; all ages are welcome and swim lessons are open to the public. PWC members enjoy a variety of aqua fitness classes, aqua volleyball for adults, and family swim session with float tubes to enjoy the lazy river. Swimming is a low impact activity that provides health and fitness benefits and is FUN for all ages! Looking for convenient access to delicious food? The Fresh Harvest is your answer! You’ll pay no minimum order or delivery fee! Powell Wellness Center will again participate in Walk 10K, an annual worldwide walking challenge that in 2019 will take place May 6-12. Walk 10K is sponsored by the Medical Fitness Association (MFA) to promote walking as a low-impact physical activity with many health benefits. Register now for our April/May American Red Cross swim lessons for children and adults – the final class session for spring. Summer registration begins soon! 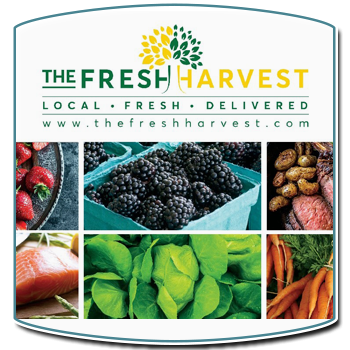 Culpeper County-based online grocer The Fresh Harvest and Powell Wellness Center have partnered to provide area residents easy access to locally grown food. The Culpeper community can now order from the virtual farmer’s market and pick up orders at Powell Wellness Center. Interested in supporting your health with a comprehensive approach to wellness? Take a look at the new Wellness 360 program, which gives you the tools to build good diet, lifestyle and fitness habits in two hour weekly sessions incorporating nutrition education and personal fitness. Become a HeartSaver! Sign up to attend CPR/AED and First Aid class on May 4, 2019.